Japan's space agency said on Sunday it failed to launch a mini rocket carrying a satellite into space due to failure of the communications systems. The Japan Aerospace Exploration Agency (JAXA) said in a statement it had fired the SS-520 rocket at 0833 JST on Sunday at its Uchinoura Space Center in southern Japan. JAXA said it was unable to receive data from the rocket, which has fallen back to earth in a spot it had expected. The rocket, about 10 metres (35 feet) long and 50 centimeters (20 inches) in diameter, was carrying a 3-kg (6.6 lb), 35-centimetre satellite to take images of the earth and gather other data. The first stage of the rocket launch was carried out but not the second, after communication problems were discovered, JAXA's spokeswoman told Reuters. The space agency had postponed the launch of the rocket on Jan. 11 due to strong wind. Japan's attempt to launch one of the smallest-ever rockets into space has ended in failure. The 9.5-meter (32-foot) rocket lifted off around 8:30 a.m. local time Sunday from the Uchinoura Space Center in southwestern Japan, according to state broadcaster NHK. The rocket was carrying a micro-satellite that is 35 centimeters (13 inches) tall and weighs 3 kg (6.6 lbs.). However, according to the Japan Aerospace Exploration Agency (JAXA), communication systems malfunctioned after the rocket launched, causing the ignition of the second booster to be terminated. The rocket fell into the sea southeast of Uchinoura. The launch, which was delayed from earlier this week because of weather, was supposed to be a proof of concept for Japan's micro-satellite and mini-rocket technology, which JAXA hopes to commercialize as private companies seek cheaper options that are easier to put into orbit. 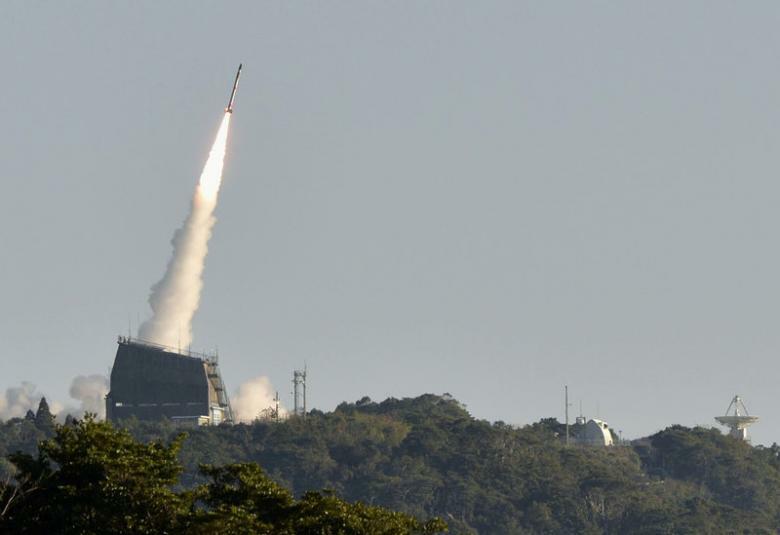 "Several Japanese firms joined this rocket project," JAXA public relations officer Takayuki Tomobe told CNN prior to the launch, adding that the agency also hopes to share test results with other private entities in future. "This is still a small step and we expect more impediments, but once the launch succeeds, we see a potential for making the rocket launch cheaper and shorter in project time," Tomobe said. JAXA's aborted launch was in stark contrast to Space X's attempt this weekend. The private space exploration company successfully sent a Falcon 9 rocket into space with 10 satellites on board. The launch's success Saturday was made even sweeter by a smooth return landing for the Falcon 9 rocket's first-stage booster. It safely returned from space and glided to a landing on a seafaring platform, known as a drone ship. 0 Response to "Japan space agency fails to launch mini rocket"